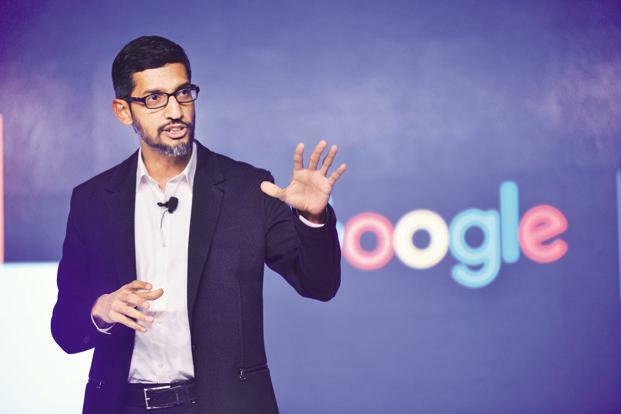 In a letter to employees, chief executive Sundar Pichai said the tech giant was taking a "hard line" on inappropriate conduct. Mr Rubin left the company in 2014. He was given what the paper described as a "hero's farewell". Mr Pichai's letter said the New York Times story was "difficult to read" and that Google was "dead serious" about providing a "safe and inclusive workplace". "We want to assure you that we review every single complaint about sexual harassment or inappropriate conduct, we investigate and we take action," it continued. Shares in Alphabet, which owns Google, fell more than 3% in New York after it reported revenues of $33.7bn (£26.3bn) for the three months to September - slightly less than analysts had expected. However, net profit soared $2.5bn to $9.2bn - far higher than expected.